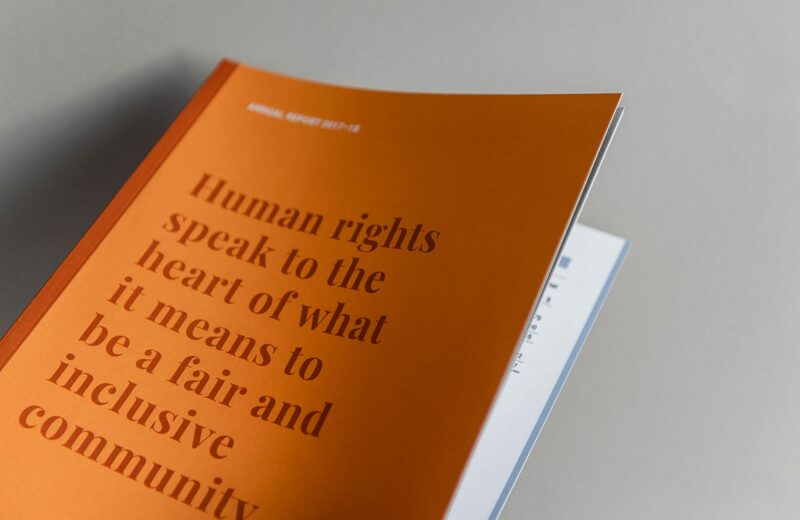 Victorian Equal Opportunities and Human Rights Commission have a vision for a fairer, safer and more inclusive Victoria where every person is respected and treated with dignity. 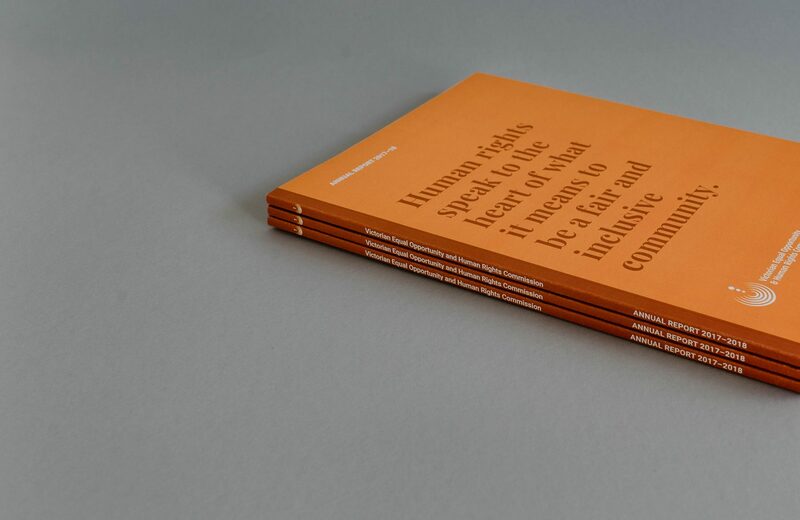 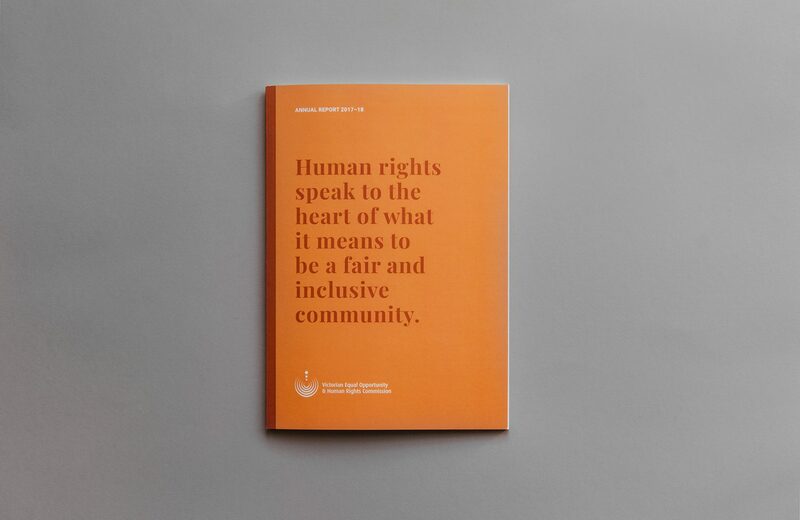 As admirers of VEOHRC and the work they do, we were honoured to design their 2018 annual report. 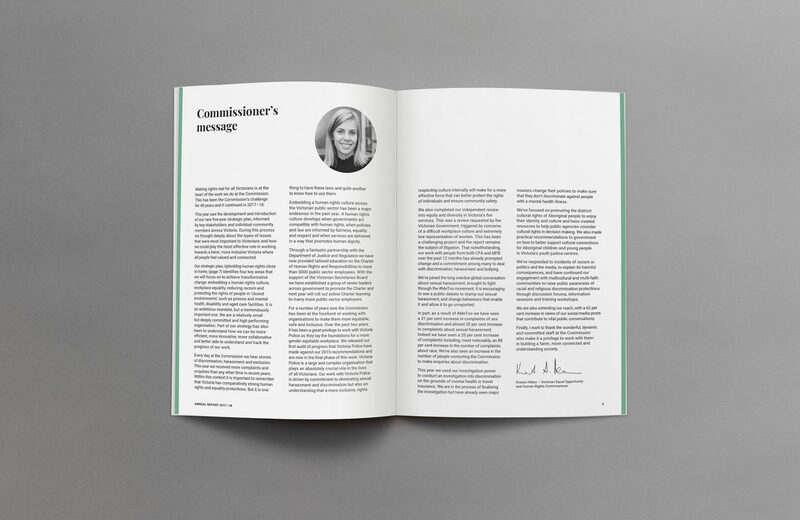 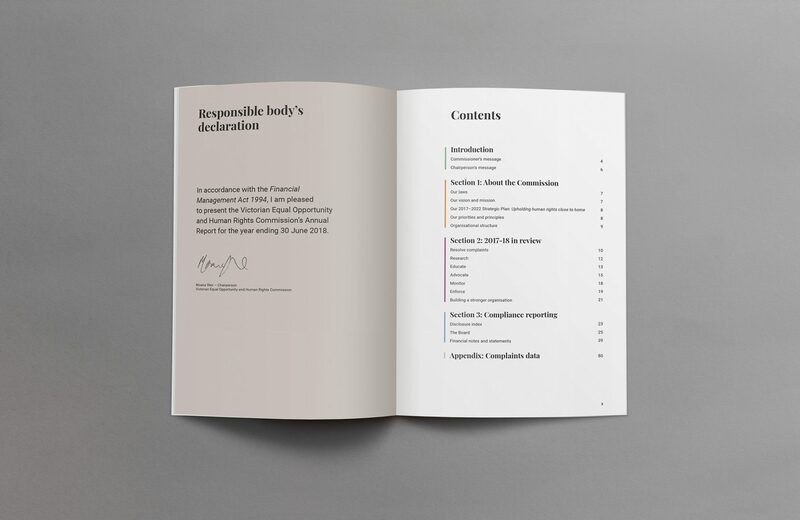 It was important to reflect the organisation’s vision in an impactful and engaging way, whilst maintaining accessibility through legibility. 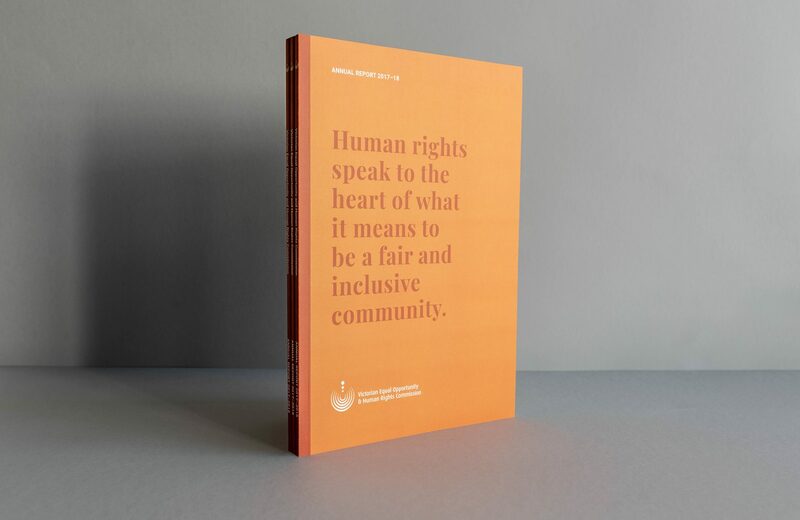 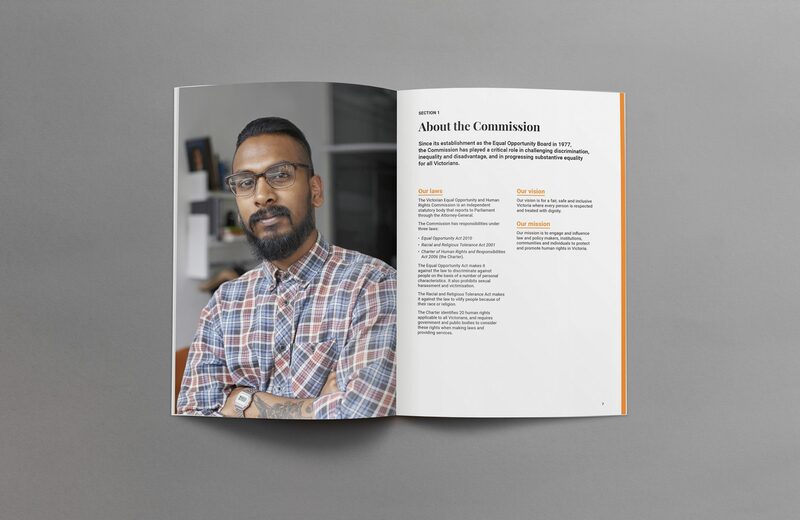 We brought structure and warmth to the document through bold typography and a vibrant colour palette, complemented by a series of carefully curated images that represent a diverse demographic.